Deep in the realms of the thriving dubstep scene, Disciple stands out as one of the untouchables, enlisting and nurturing some of the most exciting minds in the scene like Dubloadz, Virtual Riot and Fox Stevenson, among other key artists. Now in its fourth iteration, the aptly titled Reinforcements project brings you 15 heavyweight, neck-breakin’ tracks that feature some of crew’s best work to date. Expect meticulous heart-stopping drops and gritty, innovative synth work the label has grown to be known for. “Big Riddim Martian” from 12th Planet and Dodge & Fuski receives a filthy re-lick from Uber, who goes on to apply heavy amounts of shredding midrange frequencies. Disciple brings out the big guns with Fox Stevenson’s “Saloon” VIP and Megalodon’s VIP of Jauz’s “Shark Attack,” two legendary variations of the originals. Oolacile, Krimer, Vaski, Boy Kid Cloud, Xilent, Indiekai, Elijah Moore, Bukez Finezt along with Antiserum and Mayhem also receive features on the mega-sized various artists compilation. 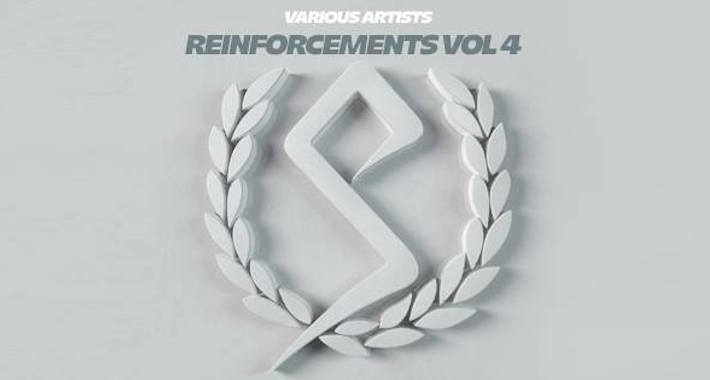 Check out what the Disciple fam have to offer on Reinforcements Vol 4 by streaming the tracks on Spotify or pick up your favorite tunes here. If you’re feeling the beats don’t forget to snag your tickets to the Los Angeles Bassrush Disciple Showcase on August 13 at the Belasco Theater.